GUELPH, ON (July 27, 2018) – Grain Farmers of Ontario, the province’s largest commodity organization, representing Ontario’s 28,000 barley, corn, oat, soybean and wheat farmers, continues to urge the federal government that Canada be more active in helping farmers maintain their businesses in the event of financial loss from trade disputes with the U.S. 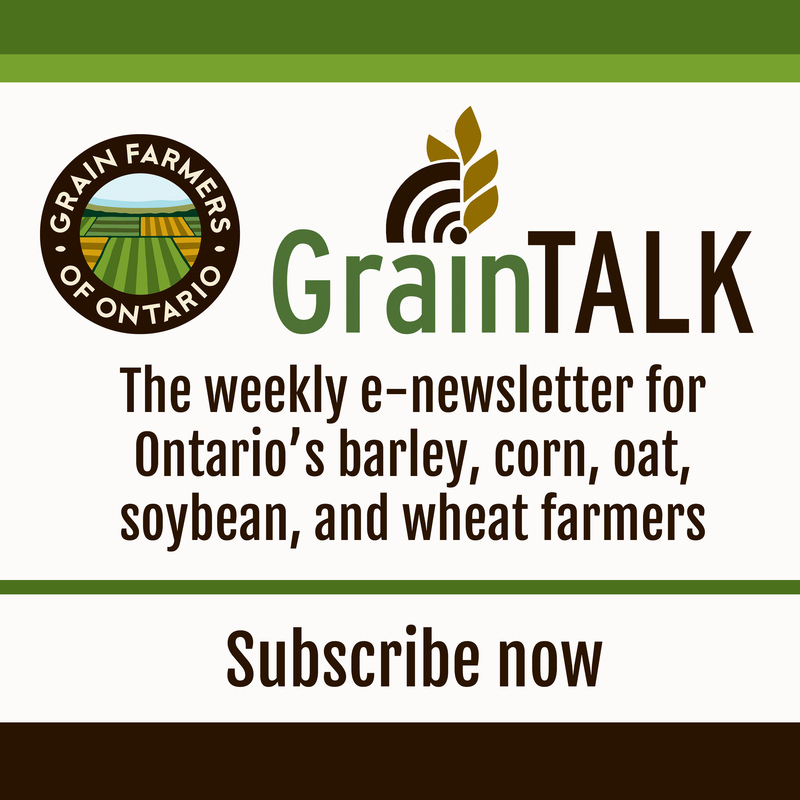 Grain Farmers of Ontario has asked the federal government to establish contingency plans to reduce the impact of global trade tensions with the Ministers of Agriculture, Finance and Trade. The U.S. government recently created a $30 billion fund for trade impact contingency planning, and more recently allotted $12 billion of that fund to farmers if it is needed. Currently, a $2 billion contingency fund exists, but it is allotted to Canada’s steel, aluminum, and manufacturing sectors. The Canadian Agriculture Partnership has a $3 billion fund, but it is not provisioned to support farmers and the agriculture industry if there are major price shocks, or if there is a prolonged impact to agriculture as a result of trade issues. Grain Farmers of Ontario will continue to push for an open discussion with the federal government on contingency planning, and also continues to urge Ministers to identify new markets and new business opportunities on behalf of the Canadian agriculture industry. 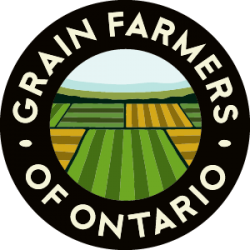 Grain Farmers of Ontario issued the below letter last week to Lawrence MacAulay, Minister of Agriculture and Agri-Food; Chrystia Freeland, Minister of Foreign Affairs; and Bill Morneau, Minister of Finance. I am writing on behalf of our 28 thousand grain and oilseed farmers from across Ontario to raise our concerns about the impact of the potential pressures on the global market place due to escalating global trade tensions, and the need for contingency planning to reduce that impact on our farmer-members. Our farmer-members are very concerned about the future as trade tensions escalate here in Canada and around the Globe. It’s difficult to predict the combined impact but we have seen the market react to the mere speculation of a trade war, and we anticipate large volumes of US soy and corn diverted into the marketplace if China goes ahead with its retaliatory measures. We realize that if no resolution is achieved on a variety of fronts that there is a risk to the Canadian economy as a whole, but felt it was important to raise our concern about our members’ farm businesses in this uncertain environment. We believe that it is prudent to initiate some contingency planning to address the needs of farmers if and when the time comes, especially given that the US has put in place contingency funding of $30 billion for its farmers and that corn and soybeans will be used as retaliation measures by Countries in response to the newly announced US tariffs. Our farmer-members want to ensure that your government recognizes that these global market influences will impact our sector. The grains and oilseeds sector is separate and distinct from the supply managed sector which has been the focus of discussion in trade talks to date. It is our expectation that proportionate consideration and compensation is given to the grains and oilseeds sector if and when it is required. We recognize this is a challenging environment to find solutions, and we commend you and your staff for your steadfast work in representing Canada’s trade interests. We firmly believe that there are no winners in a “trade war.” Please be assured that Grain Farmers of Ontario strongly supports Canada’s efforts to arrive at a mutually satisfactory renegotiated NAFTA Agreement. We look forward to hearing from you on the next steps towards establishing a contingency plan for the grains and oilseeds sector.